Federation to help Ele Opeloge if medal confirmed from I.O.C. The Samoa Weightlifting Federation and the Samoa Association of Sports and National Olympic Committee are still waiting on the International Olympic Committee (I.O.C) for their final decision on Ele Opeloge’s medal. 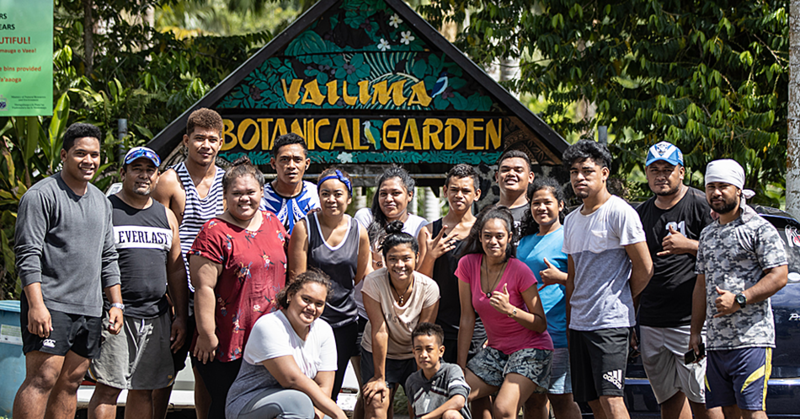 Chief Executive Officer of S.A.S.N.O.C, Faamausili Taiva Ah Young said they are waiting on the final decision from I.O.C. “We haven’t had any update on Ele’s medal,” he said. “It’s the same story the International Federation have already approved her medal and we also support it but the final decision comes from I.O.C,” he said. Faamausili said the I.O.C is probably making sure that they cover all aspects before making the announcement. “I think they are just going through some legal things just to make sure there will be no appeals and all that,” he said. “Because it’s one thing to bring the medal but it’s another thing to be careful of court cases and all those things, so they are probably going through some legalities of it. “I also know the there will definitely be countries that will appeal the matter especially those who are involved. But the President and Coach of S.W.F. Tuaopepe Asiata Wallwork is adamant that Ele Opeloge will win the medal. “Ele Opeloge will win the Silver Medal and that’s it, finish,” he said. 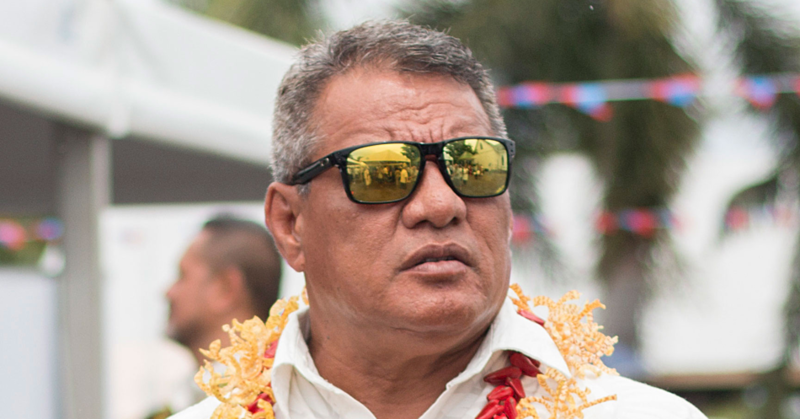 Ask if he had any contact with the Prime Minister Tuilaepa Sailele Malielegaoi in regards to the matter Tuaopepe said it has nothing to do with the prime minister. “No I haven’t and what do I have to contact the prime minister for?” he said. “This is an I.O.C. issue and the prime minister can’t do anything all he can do is to wait for the result to be official and that’s it. “I don’t know if the government is giving Ele a reward or not, that is entirely up to the government. As to whether the Federation or SASNOC will be giving a reward for Ele if the government decides not to, Tuaopepe said both the Weightlifting Federation and S.A.S.N.O.C. have no money to give. “What should we do? 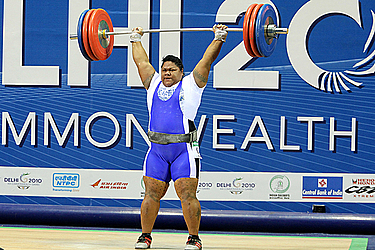 The Samoa Weightlifting Federation has got no money even S.A.S.N.O.C, we have got nothing,” he said. However, he said what the Federation can do to is to help reapply for her scholarship from I.O.C. “Ele had a scholarship from I.O.C and she was on it before and it went right through but it was just this year she didn’t continue her training in New Zealand,” he said. “She had lots of family commitments hence why she didn’t compete in the Oceania Championships. “She wasn’t eligible for the Olympic Games because she has to compete in the Oceania Championships in order for her to compete in the Rio. “[But] we don’t blame her because she has a lot of commitments she’s got children and her husband works too so she didn’t have time for training. “However, now she wants to get back to training so we will assist her with funding and that is how we can help her, but we can’t give a big thing for her because we are an independent N.G.O. we don’t have money. “We don’t get paid as well. If we were getting paid to do this it would be nice, but we are not asking to get paid too we do this for the country even our athletes they don’t get paid but they are doing all of this for the country. The president also went on say that S.A.S.N.O.C. is also not in the position to give Ele any bonus. “All we can do is assist her in re-preparing and fund her preparations,” he said. “To make she gets a weekly allowance, and pay for her transport and food and everything and I reckon that is a big assistance for her; that’s how we can help her. 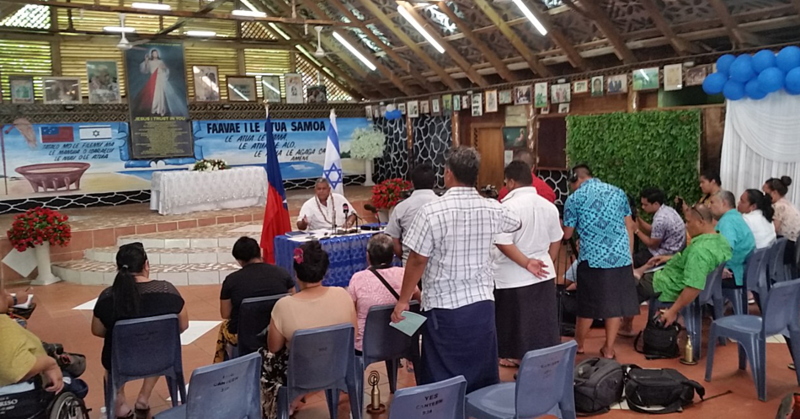 Tuaopepe revealed that the Federation had already promised Ele a vacation for her and her family to Samoa if I.O.C. confirms of this. “If her medal is confirmed then we will pay for her husband and her children’s airfares to come across and give them some pocket money to spend during the holidays here,” he said. “It will be to the limit of SAT $10,000 that is the maximum we can go to and the Federation will do this for her. “We have already promised her that and she deserves it too.